These photos were taken at my great aunt's farm during our trip to North Carolina this past weekend. It was so incredibly humid there that my camera was fogging, so these are a little blurry. They kind of look like one of those photo effects that make your pic look like a pencil drawing or something. Apologies for that. 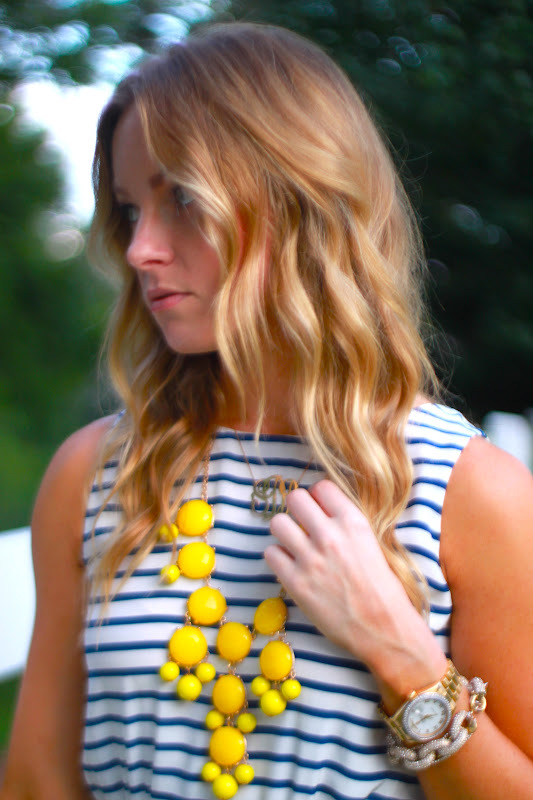 Stripes are such a staple that I felt it necessary to invest in a great striped dress. I went out with the intention of finding one at H&M or F21, but then I saw this Dree Dress in Deck Stripe at J.Crew and knew I had to have it. It's silk, so the fabric is light, but it doesn't really wrinkle. I also love that the stripes are blue instead of navy. The only complaint I would have is the zipper is a little thick for the fabric, so sometimes it sticks out in the back. Other than that, I'm thrilled with it. I'm thinking of pairing it with a fuchsia blazer, a cargo vest, and maybe a button down underneath. It's also thin enough to put a sweater on top and wear as a skirt. Super cute! 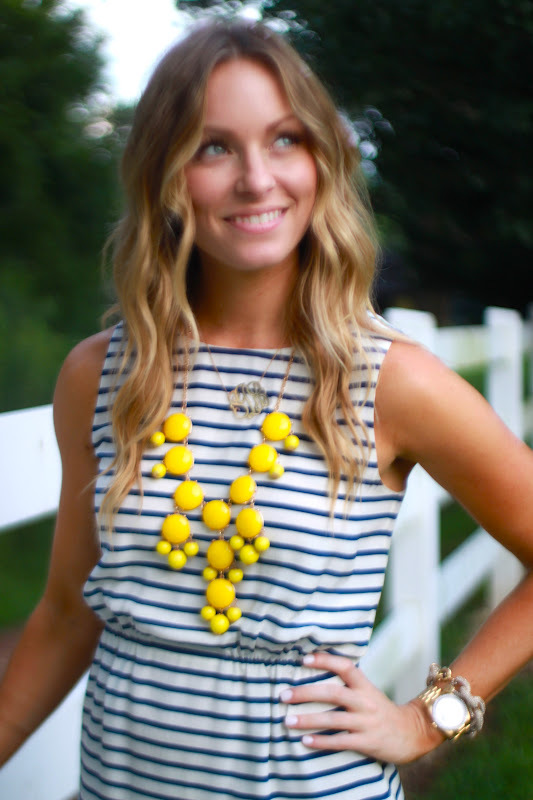 and I love the pop of yellow against the stripes.